When my nephew, Kevin, was little, he’d wake up with the best super-blonde, chicken tail, sticking up, bed head hair. Ooo, I couldn’t resist kissing his head and appreciating that he cared more about the important things like Legos and Minecraft than brushing his hair. 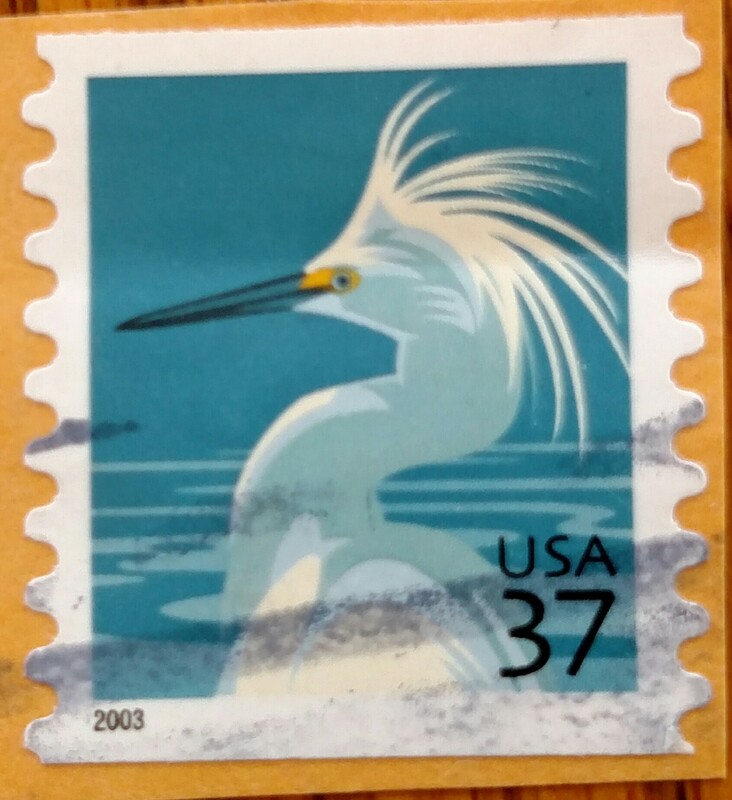 This confident snowy egret stamp with a great messy “hair-do” made me think of Kevin. Enjoy the poem and comment if you get the “Alfalfa” reference. let your personality stand up. This entry was posted in NaPoWriMo and tagged bad hair day, confidence, egret, hair-do, postage stamp, stamp, stamp collection, The Little Rascals. Bookmark the permalink.